The honeymoon is over on ABC. 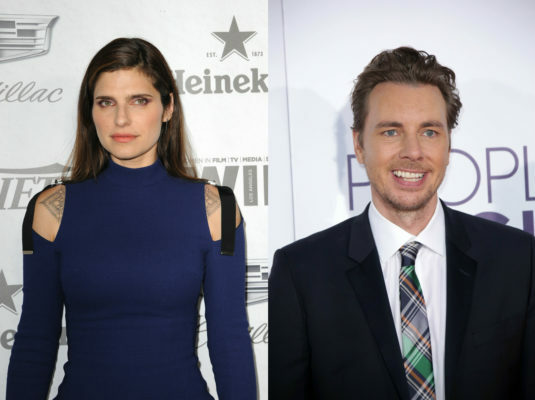 This week, the network announced they’ve ordered a new TV show with Lake Bell and Dax Shepard called Bless This Mess. “Bless This Mess,” a new single-camera comedy, has been picked up to series, Karey Burke, president, ABC Entertainment, announced today. The comedy, starring Lake Bell and Dax Shepard, is a co-production from 20th Century Fox Television and ABC Studios. Elizabeth Meriwether (“Single Parents,” “New Girl”) and Bell are executive producers and co-creators of the series, which will air next year on The ABC Television Network. In “Bless This Mess,” a newlywed couple’s (Bell, Shepard) plan to ditch big city living for a simpler life in Nebraska doesn’t go as expected. “Bell and Shepard headline a stellar cast in this hilarious take on a classic fish-out-of-water story that we found irresistible,” said Burke. What do you think? Are you a fan of fish-out-of-water comedies? Will you check out Bless This Mess? More about: ABC TV shows: canceled or renewed?, Bless This Mess, Bless This Mess: canceled or renewed?